Inserting a Chin Implant is a procedure that is not done often anymore. Cosmetic medicine has come a long way in the last few decades. Advances in products and technology now mean that some procedures are now possible without having to resort to surgery. Facelifts, chin and nose remodelling among others can now be done with minimally invasive, low-risk and reversible treatments using dermal fillers, botulinum injections and other breakthrough technologies. Plastic surgery is expensive and permanent. A Chin Implant is also permanent. The risks associated with any surgical procedure are much higher than those posed by these newer and still very effective treatment options. 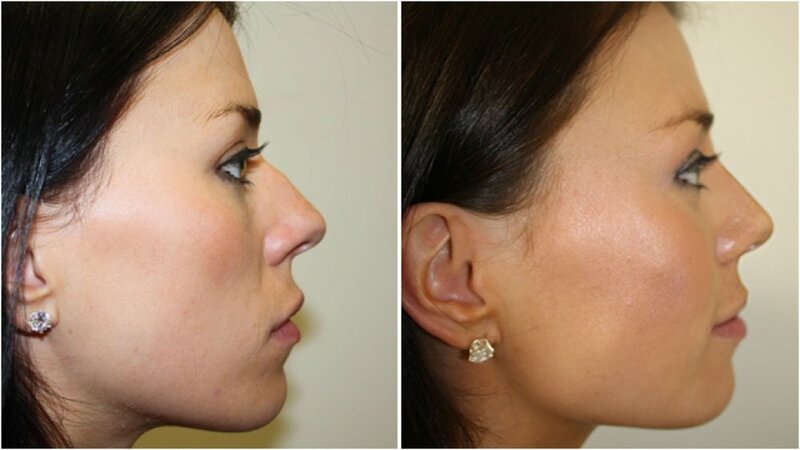 Reshaping your nose and chin to become more desirable or to correct imperfections can now be done during your lunch break. Best of all, if you don’t like the result for any reason, they are completely reversible. Plastic Surgeons are now increasingly recommending the use of dermal fillers for chin and nose reshaping wherever possible. The results can be as good or better and the safety profile is also improved. Best of all, there’s no downtime. If you’ve been considering or have always wanted an improved shape to your nose or chin, talk to Dianna and Kirsty about what can be achieved before heading off to the plastic surgeons rooms. You might be very surprised what you find out!